Juvenile idiopathic arthritis, formerly known as juvenile rheumatoid arthritis, is the most common type of arthritis in children under the age of 16. This condition is an autoimmune disorder, which means that the immune system malfunctions and attacks the body’s organs and tissues, in this case, the joints. Previously it is called as juvenile rheumatoid arthritis (JRA), juvenile idiopathic arthritis strikes up to one in 1000 children and is one of the most common chronic diseases among children. Autoimmune diseases generally occur when the body’s immune system begins to malfunction and attack healthy tissue in various parts of the body, causing inflammation and damage. In JIA, joints are attacked by inflammation and become stiff, painful, and swollen. Some children with JIA develop inflammation involving their eyes as well; in some severe subtypes of JIA, organs such as the heart or lungs can be involved. Researchers have described the types of juvenile idiopathic arthritis. 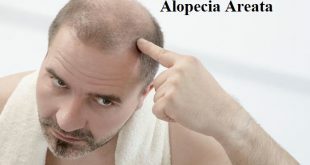 The types are distinguished by their signs and symptoms, the number of joints affected, the results of laboratory tests, and the family history. Systemic arthritis – Also called Still’s disease. Systemic JIA usually causes a high fever and a rash, which most often appears on the trunk, arms, and legs. It also can affect internal organs, such as the heart, liver, spleen and lymph nodes. This type of JIA affects boys and girls equally and rarely affects the eyes. Oligoarthritis – This type of JIA affects fewer than 5 joints in the first 6 months of disease, most often the knee, ankle and wrist joints. It also can cause inflammation of the eye (often the iris, the colored area of the eye), called uveitis, iridocyclitis or iritis. Polyarthritis – This type of JIA affects 5 or more joints in the first 6 months, often the same joints on each side of the body. Polyarthritis can also affect the neck and jaw joints as well as small joints, such as those in the hands and feet. It is more common in girls than in boys. Psoriatic arthritis – This type of arthritis affects children who have arthritis with the rash of psoriasis. Children frequently have nail changes that look like pits. Arthritis can precede the rash by many years or vice versa. Enthesitis-related arthritis – This type of arthritis often affects the spine, hips, and enthesis (attachment point of tendons to bones) and occurs mainly in boys older than 8 years. The eyes are often affected by this type of arthritis. There is often a family history of arthritis of the back (spondylitis) in male relatives. Undifferentiated arthritis. Arthritis that doesn’t fit into any of the above categories or fits into more than one of the categories. Researchers are uncertain what causes JIA. There is no evidence that foods, toxins, allergies or lack of vitamins play a role in developing the disease. The chronic inflammation of the synovium (the fluid-producing tissue that surrounds the joints) is linked to the greater-than-normal activity of the immune system. Normally, the immune system fights “assaults” by “invaders” such as infections or blood or tissue from another person. The immune system produces specialized cells and proteins, which are released into the bloodstream to fight off the “invaders.” One important type of immune protein is called an antibody. In autoimmune diseases such as JIA, the cells, and antibodies of the immune system attack the body’s own tissues. In the case of arthritis, the attack is directed against the synovium, which becomes inflamed. Maternal occupational exposure, the presence of industrial activities or gas station at mother’s workplace. CBC (complete blood count): a common blood test that checks all the basic cell types in blood, including red blood cells, white blood cells, and platelets. Knowing the amount and appearance of each cell type in a person’s blood can help doctors identify many medical conditions. Blood culture: a test to detect bacteria that cause infections in the bloodstream. Bone marrow biopsy: a test that allows doctors to look at blood where it’s formed (in the bone marrow) to look for conditions such as leukemia. Erythrocyte sedimentation rate: It checks how rapidly red blood cells settle to the bottom of a test tube. This rate often increases in people when inflammation is occurring in the body. C-reactive protein (CRP) test: CRP is a protein that the liver releases into the blood at the start of infection or inflammation; this level can rise if a person is having an arthritis flare-up. A test for rheumatoid factor (RF) and cyclic citrullinated peptide antibody (CCP), substances made in the blood of children with some forms of JIA. But it’s found more often in adults with rheumatoid arthritis. ANA (antinuclear antibody): a blood test to detect autoimmune diseases. It’s also useful in predicting which kids are likely to have eye disease with JIA. The aim of treatment is to stop or slow down the progress of inflammation, thus relieving symptoms, improving function, and preventing joint damage and other complications. Specific objectives are to reduce joint swelling, stiffness, and pain; a well-rounded treatment plan for juvenile idiopathic arthritis includes medication, physiotherapy, and a healthy diet. The “first line” treatments are non-steroidal anti-inflammatory drugs (NSAIDs). Naproxen (Naprosyn®) is the most common NSAID used for treating JIA, but others are used as well. The “second line” treatments are called disease-modifying anti-rheumatic drugs (DMARDs). Eg. hydroxychloroquine, sulfasalazine, leflunomide, and most commonly methotrexate. Corticosteroids (steroids) – If a child is younger or if several joints are injected, sedation is often used. In patients with a more severe widespread disease, these medications occasionally need to be given by mouth as a pill. These medicines, when given by mouth, are effective but can have serious side effects – including weakened bones – when used for long periods. Biologics are the newest, most powerful medications to treat inflammatory arthritis. Examples of these medications are etanercept and infliximab. Newer biologic medications are currently being studied in children with JIA. Biologics are often used in combination with traditional DMARDs. It is reserved only for those children with JIA who have failed the above therapeutic options. The initial goal is a utilization of high-dose immune suppression medications to remove the patient’s lymphocytes that are attacking the patient’s joint(s). Once removed, new stem cells from the patient (autologous) that were previously harvested and treated are introduced back into the patient’s body via the bloodstream. This process requires expertise found only in a few pediatric referral centers. Regular physical activity can help prevent deconditioning. Evidence suggests physical therapy and occupational therapy are also helpful. Annual influenza vaccinations, especially for those on immunosuppressive agents, can help prevent the development of concurrent infection and/or infection triggering a flare. For those on immunosuppressive agents, varicella prophylaxis following contact is advised. 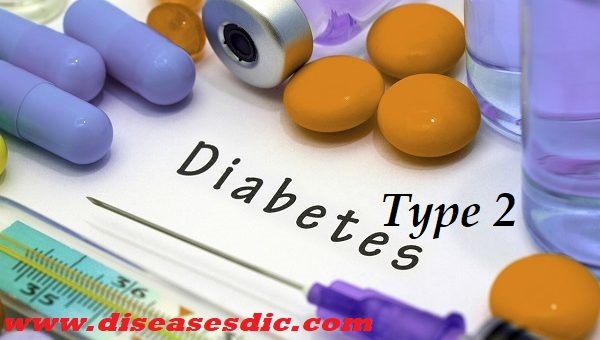 Diabetes Mellitus Type 1: Definition, Causes, Risk factors and Treatment. please consult a specialist in orthopedics.